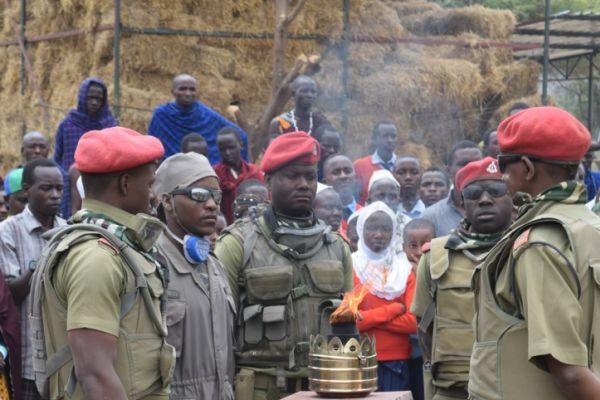 History came to Mungere last week when the Tanzanian ‘freedom flame’ burned through town. 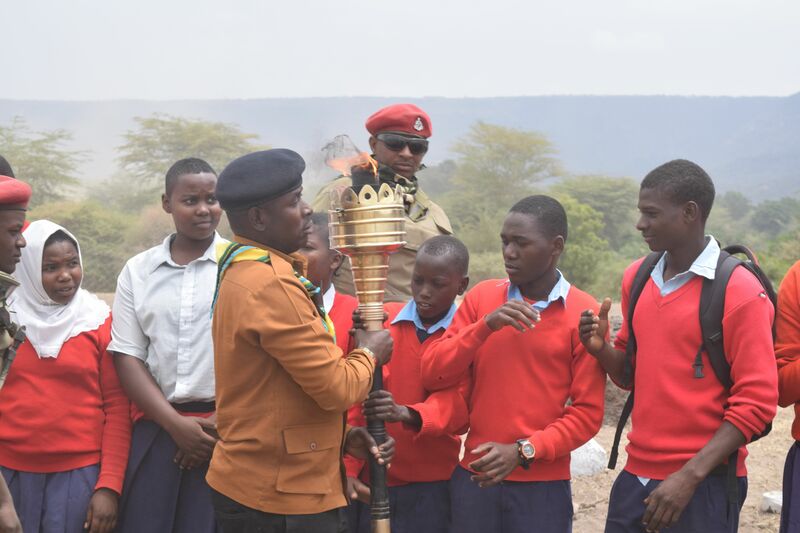 For the first time in its 56-year-history, the Uhuru Torch came to the rural villages near to school. 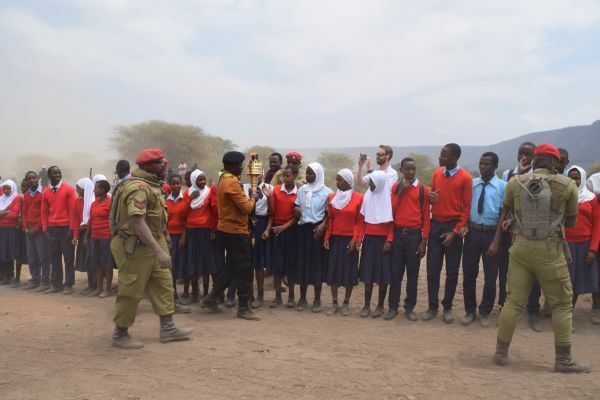 Mungere’s students were extremely excited to touch the sacred torch as it was carried through the dusty air by government officials and the military. The moment was captured by a television crew and our red sweaters even made an appearance on the national nightly news! 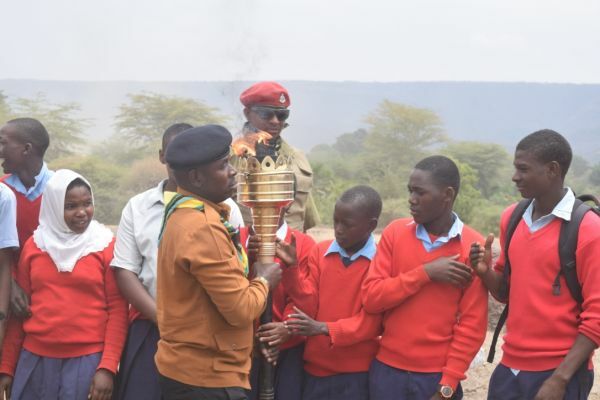 Form IV student Zacharia Yakon explained, “The Uhuru torch is an important symbol to our country. 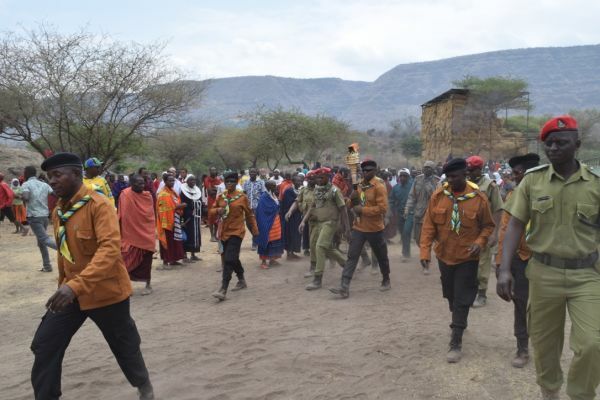 By carrying it through the streets, it means that light is being shed on all corners of Tanzania. 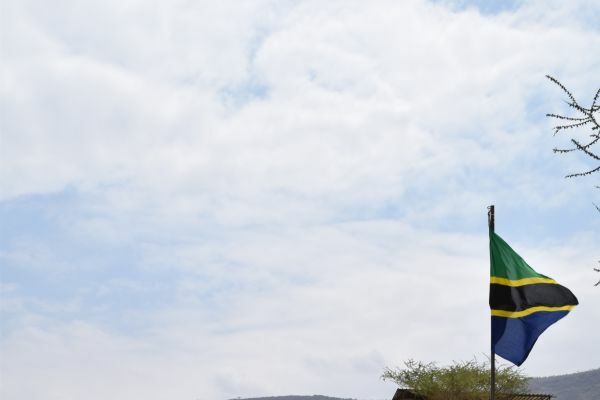 The Uhuru Torch (Mwenge wa Uhuru in Swahili) means “torch of freedom” and is one of the National Symbols of Tanzania. 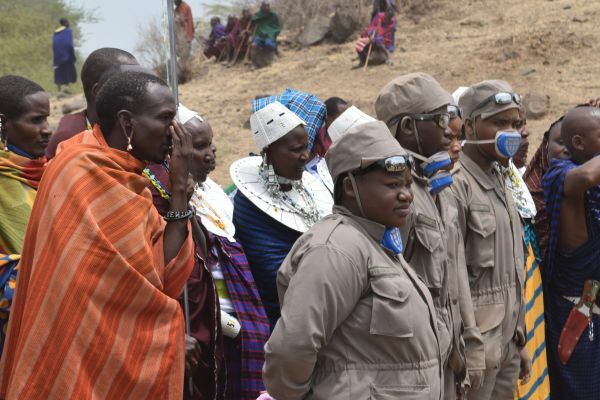 The kerosene torch was first lit on the top of Mount Kilimanjaro in 1961, to mark the end of colonialism and the start of a new independent dawn. It symbolizes freedom and light and is said to bring hope where there is despair, love where there is enmity and respect where there is hatred. 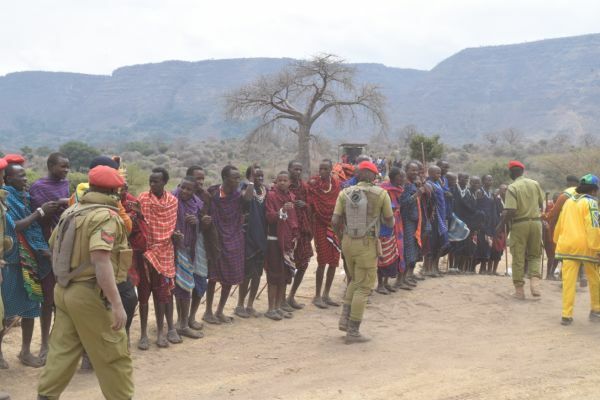 Each year it spends three months travelling the length and breadth of Tanzania, often finding new places to visit. 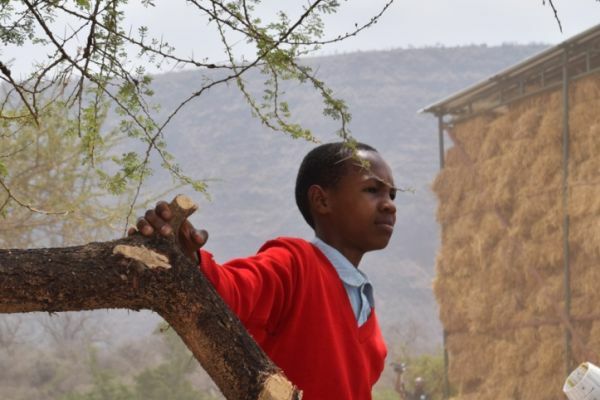 As a small NGO-run factory which turns rice husks into hay bales for the grass-starved Maasai cows has just started close to the school, the local government in Monduli wanted to honor the initiative and suggested the route by the school. 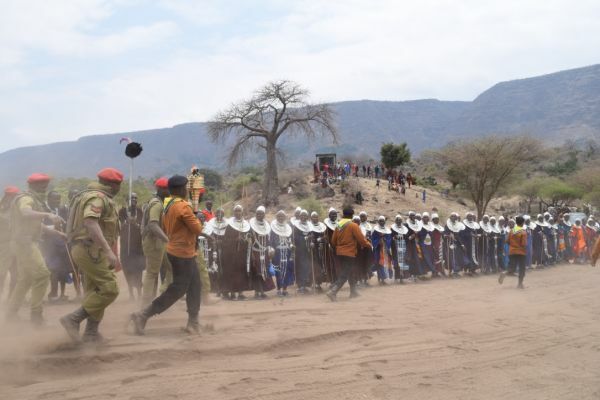 The word spread and, last week, hundreds of villagers walked for miles for a glimpse of the famous flame.